OSHA standards require that a fire extinguisher be present and easily accessible in every commercial kitchen. 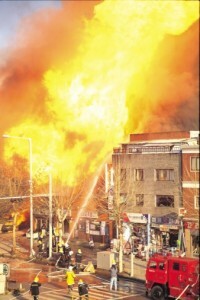 These extinguishers must be Class K, as this type of extinguisher is effective against grease fires. Commercial kitchens are also required to install and maintain an automatic fire suppression system. This system must have the ability to be triggered manually as well as automatically when temperatures inside the exhaust hood indicate the presence of fire. In addition, NFPA and California Fire Code requires that the automatic fire suppression systems installed in commercial kitchens be UL300 Certified. After almost any kitchen grease fire, you will need to close your kitchen. You may only need to shut down in order to reset the automatic fire suppression system, or you may need to close for weeks or months to repair the damage done by a major fire. Either way, you will be losing revenue every moment you are closed. Plus, damage to your brand image can also potentially change consumer behavior, causing reduced patronage and additional lost revenue. Though injuries are somewhat rare, about 75 people per year do get injured in commercial kitchen fires. If an injury occurs on your property during a fire, you may end up with a lawsuit on your hands. Either an employee or a customer could allege that you were negligent in your fire prevention activities and this caused them to suffer an injury. Depending on the extent of their injuries and suffering, you could be looking at a very expensive payout. 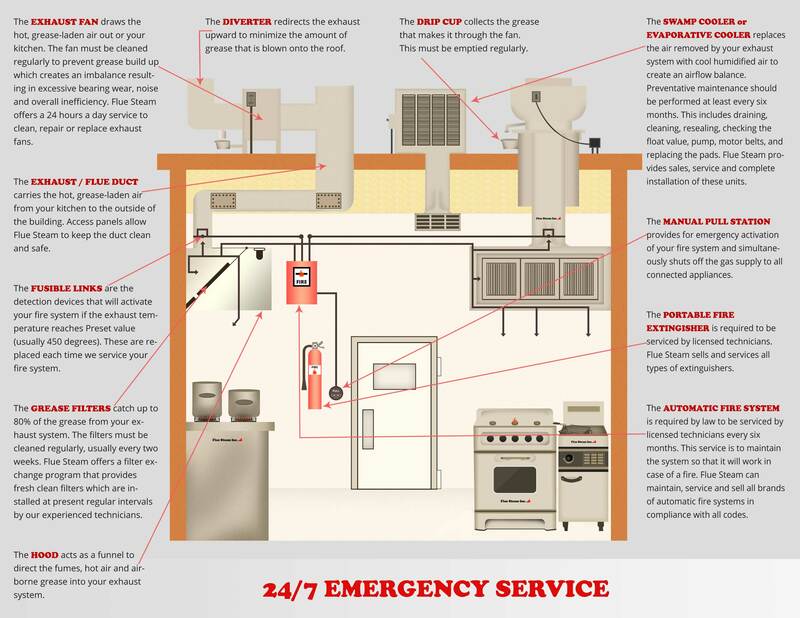 Why risk a kitchen exhaust fire hurting your business? Exhaust hood scraping and duct steam cleaning are simple and effective fire prevention measures that you can easily take with help from Flue Steam.